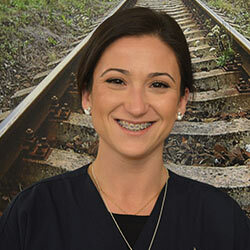 My name is Clory and I am a Treatment Coordinator here at Orthodontics at Don Mills. I was born and raised in Toronto and couldn’t wish for a better city to grow up in. I have been in dentistry for over 10 years and helping to create beautiful and healthy smiles is where I plan to stay. I am proud to be a part of such an amazing team. Dr. Noble is truly inspirational and it is wonderful to see how dedicated he is to his patients and team! On my spare time, I enjoy spending time with my daughter whether it’s building a sand castle, climbing a tree or making a snowman!